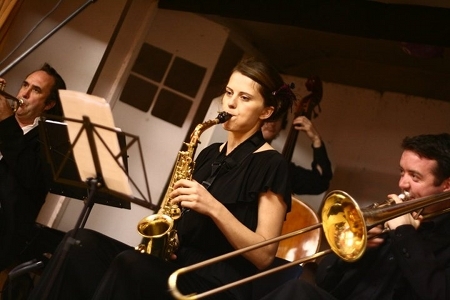 The River Lee Jazz Band is an exciting group of professional and versatile Cork jazz musicians. We will add the special touch you are looking for to get your guests foot tapping and happy. Jazz music makes any occasion a celebration. We play Classic jazz from the 1920's, 1930's and 1940's. The RLJB play lively classic swinging jazz for dancing or listening. Alternatively you can have a smooth and romantic sound that is ideal for background music. The band comes in various sizes and configurations, depending on requirements; from a duo to a six piece ensemble. Wedding drinks receptions, functions, parties, and any corporate event our specialty. We have played every year at the Cork jazz festival since 2003 and at events all over Ireland. Bandleader Ian Date plays guitar, trumpet and sings. He has been a professional musician for many years and works in Ireland and abroad and uses the best Jazz players.